Highness Sound System's monthly parties at The Bodega in Nottingham are an absolutely essential component of the beating heart of the city's underground music scene, bringing roots and dubwise vibes by the bucketload. 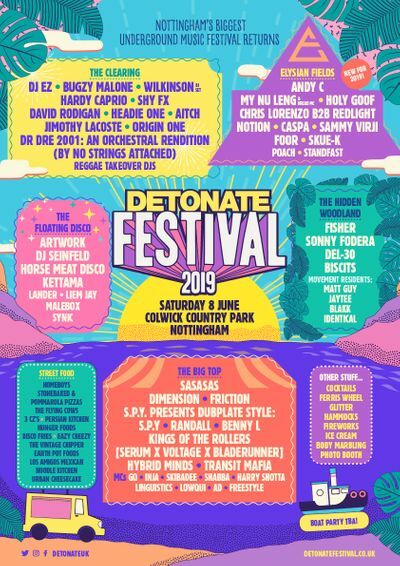 With some of the deepest record bags around, the Highness DJs keep the floor, and most of Pelham Street, shaking until the lights come up, and we've given them free reign in an outdoor area at Detonate Festival. With vibes coming from the Highness DJs, and an authentic jerk BBQ, it promises to be the perfect place to chill out, and a devastatingly difficult place to leave.